Klein Tools Miniature screwdriver has round-shank of size 3-inches. 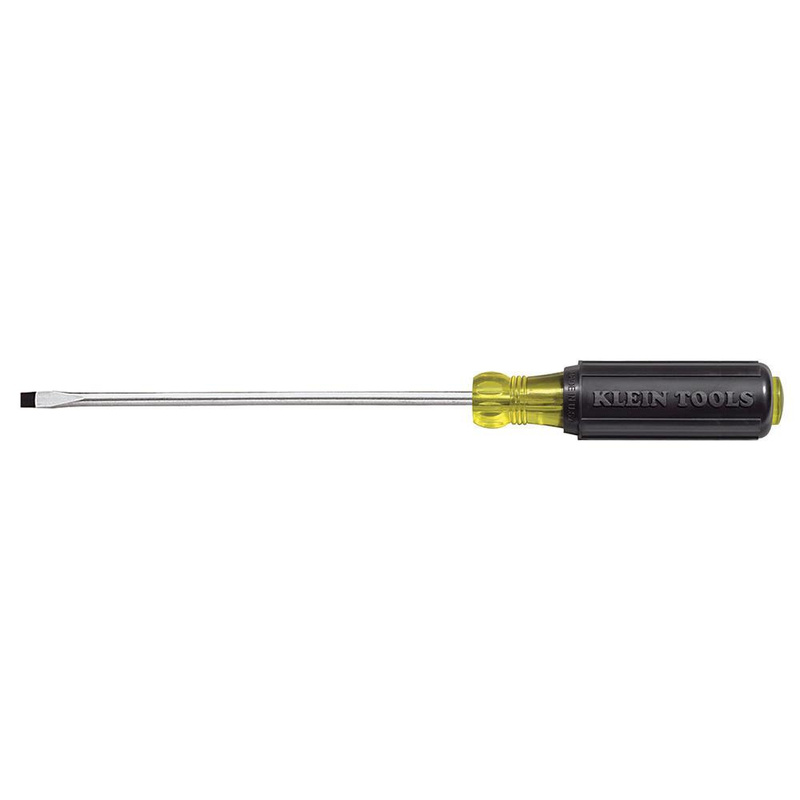 Screwdriver features plastic, cushion grip handle that minimizes muscle fatigue effectively. Chrome-plated screwdriver offers smooth feel plus immense corrosion resistance. The Tip-Ident® feature of this screwdriver aids to identify screwdriver type and tip orientation quickly. It has cabinet tip of size 1/8-Inch. Screwdriver meets or exceeds applicable ASME/ANSI specifications.